On February 1, 2019, the United States announced the start of proceedings to withdraw from the Intermediate-Range Nuclear Forces Treaty (INF). The following day, Russia declared a retaliatory suspension of the agreement. Under Article XV of the treaty, the two sides have another six months in which to try to reach a compromise, but it would be futile to expect drastic changes in the positions of Moscow and Washington. In August, therefore, the treaty will cease to exist. In addition, it is increasingly likely that the New START strategic arms reduction treaty will not be extended and will expire in 2021, or may even be ended prematurely.1 With the United States having withdrawn from the Anti-Ballistic Missile (ABM) Treaty back in 2002, this would leave the two sides without any treaty limitations on the development of strategic offensive and defensive forces for the first time in many years. Thus, there would be no legal barriers preventing Moscow and Washington from slipping into a race to develop land-based intermediate-range cruise and ballistic missiles, which were banned by the INF treaty, and inter-continental ballistic missiles and heavy bombers, which were limited by the New START, in addition to the ongoing race to develop various other offensive and defensive systems and the nascent race to create hypersonic weapons. If the New START were scrapped, the two sides would also be left without reliable sources of information on the structure of the other’s strategic forces. The national technical means, e.g., would not permit the sides to count the number of warheads on SLBMs or ICBMs. Confidence-building measures would be lost, along with a permanent platform for discussing strategic arms issues. All of this would have a negative impact on the stability of the U.S.-Russian standoff, and in the event of a direct military conflict between Russia and the United States, there would be a greater risk of it spilling over into a nuclear conflict. Threat assessments in Moscow and Washington are poles apart, and are only growing more distant, which is reflected in the development of their respective strategic forces. Russia is concerned with U.S. missile defense capabilities and conventional threats to its nuclear forces; the United States is preoccupied with matching Russia at the lower levels of the escalation ladder, its A2/AD capabilities, but also with the threat of China, among other things. Since both sides increasingly view their bilateral relationship as a zero-sum game, they are unwilling to introduce limitations in areas where one of the sides currently has an advantage. The development and large-scale introduction of new types of military technology (such as hypersonic, anti-space, anti-missile, autonomous, and cyber technology) is continuing amid a lack of mechanisms to control them and reluctance from the United States and Russia to limit themselves. Moscow and Washington accuse each other of breaching arms control treaties, including the INF and the New START.2 Such accusations not only undermine existing agreements; they create an atmosphere of mutual distrust in which the mere possibility of new agreements with the other side is thrown into doubt. The military potential of other countries (China, North Korea, and Iran in the case of the United States and, to some extent, the UK and France in Russia’s case) is taken into account by Washington and Moscow when planning the development of their strategic forces. If, for example, the United States reacts to the actions of a third player, this could elicit an unplanned response from Russia, setting in motion a cycle of actions and counteractions between Washington and Moscow. The idea that the two sides may help to repair their broader bilateral relationship by reaching agreements on arms control is losing ground. Although the New START facilitated a reduction in tensions in U.S.-Russian relations during the so-called reset, it was not enough to roll back existing negative trends. Russia’s attempts to put forward the arms control agenda as something it could work on with the administration of U.S. President Donald Trump to reboot bilateral relations were fruitless, and this is leading to dwindling interest in this particular area. Against this background, arms control has been put on the back burner in both Moscow and Washington. The long-term absence of a direct nuclear threat has caused any significant public and political interest in this topic to disappear. The key challenges appear either too outdated or as though they can be solved by the creation of new weapon types. The United States’ refusal to implement SALT II signified the lifting of formal limitations on the two superpowers increasing their offensive strategic arms. The Strategic Defense Initiative (SDI, also dubbed Star Wars) launched by Reagan, together with U.S. claims that a Soviet radar in the Siberian region of Krasnoyarsk violated the ABM Treaty, threatened to torpedo that agreement. In the late 1980s, that trend was finally reversed. The Soviet leader Mikhail Gorbachev was determined to introduce sweeping changes, both within the country and in terms of foreign policy, including normalizing relations with the United States. To do so, he was prepared to make major reductions to nuclear weapon stockpiles. Moscow also began to demonstrate flexibility with regard to integrating various disarmament issues. The USSR also accepted and addressed U.S. concerns regarding the ABM Treaty in 1989 by ordering the Krasnoyarsk radar to be dismantled. Gorbachev’s fresh approach to strategic arms talks managed to convince Reagan of the seriousness of the Soviet side’s intentions, which resulted in the adjustment of U.S. approaches. In 1987, the INF was signed, followed four years later by the Strategic Arms Reduction Treaty (START I). These were breakthrough agreements in terms of the scale of reductions, the extent of verification measures, and the foundations laid down for a modern arms control system, whose development continued during the 1990s and 2000s. With arms control having once again hit a dead end in the 2010s, it makes sense to turn to history to study what the lessons of the last forty years reveal about the situation today. The success of arms control in the late 1980s and early 1990s would have been impossible without the political will of the Soviet and U.S. leaderships. Moscow was prepared to make significant changes to the country’s negotiating positions, including concessions to the United States. The Reagan administration agreed to broad rapprochement with the country it previously called the “evil empire.” Russia’s current leadership considers past concessions a mistake and perceives U.S.-Russian dialogue as pushing the interests of Washington and ignoring the position of Moscow. Russia is no longer prepared to make concessions that it perceives as one-sided, and is ready to push back against what it sees as U.S. dismantlement of the bilateral nuclear order formulated in the late 1980s and early 1990s. At the same time, the United States sees Russia as trying to change the status quo by violating bilateral agreements, coming up with unjustified demands, and overreacting to legitimate actions aimed at providing U.S. security. The issue of mutual accusations of violating arms control agreements was highly visible in the 1980s.5 The U.S. response was the implementation in the INF and START of verification, which for the first time included on-site inspections. Formulated in Reagan’s famed phrase “trust, but verify,” this idea managed to convince skeptics among the American public and the political class, and was accepted by the Soviet Union, albeit with some reluctance. If the signing of the New START met with serious resistance from Republicans in the United States, despite Russia’s strict compliance with all of its responsibilities in the 1990s and 2000s, the road to any new treaty will certainly see the question raised of alleged Russian violations, and answering that question will not be simple. Against this backdrop, arms control challenges posed by some new systems, such as intercontinental-range supersonic gliders, may be easier to solve from a purely technical perspective. Others, such as cyber weapons, appear much more difficult. Throughout its history, Russian-U.S. dialogue on arms control has repeatedly run up against new technological challenges, such as multiple independently targetable reentry vehicles, missile defense systems, cruise missiles, and so on. Despite the difficulties and concern that stemmed from these (in 1976, the future U.S. ambassador to Russia Alexander Vershbow wrote that the appearance of cruise missiles could signify the end of arms control),7 the countries managed to find a mutually acceptable solution whenever there was the political will to do so. Another factor often underestimated is that public pressure on the countries’ leaderships doesn’t necessarily manifest itself in large-scale public rallies. Initially, U.S. President Richard Nixon was skeptical about arms control and openness to further standoff with the Soviet Union. 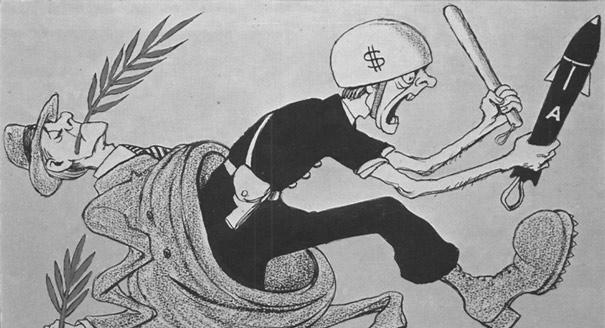 But against the backdrop of the Vietnam War and the anti-war sentiment sweeping the United States, the Democratic majority in Congress was not prepared to finance the arms race with the Soviet Union. Consequently, the Republican administration was forced to enter into negotiations, which resulted in the SALT I agreement and the ABM Treaty.8 The Russian leadership has also said repeatedly that it is not interested in an arms race, and has no plans to spend resources allocated for social programs on such a race. History has also shown that ending arms control agreements does not mean an instant start of an arms race. This is partly due to the fact that one side increasing its arsenal would lead to retaliatory measures from the other. Each country also has its own view on the necessary composition of its forces, and would not want a major build-up once it is free to pursue it. And, finally, withdrawing from agreements can be used as a domestic or foreign policy gesture that doesn’t necessarily have to be followed up with substantial action. Of course, the longer the break in arms negotiations—by now it is nine years—the greater the probability of the start of an arms race. Many of the conditions outlined above that are desirable and perhaps even essential for successful talks on arms control appear difficult to bring about in the current situation. It cannot be excluded that the type of arms control between Moscow and Washington that existed for the past three decades became possible thanks to a unique combination of circumstances that can no longer be repeated. It is increasingly common among the Russian expert community to hear the idea voiced that bilateral arms control has run its course and should be replaced with “multilateral, non-formalized, and predominantly qualitative ‘strategic arms management’” or “a dialogue among all the nuclear powers.”9 Regardless of whether one agrees or disagrees with this point of view, it is obvious that it refers to a distant future, which doesn’t solve the very concrete problems that have arisen between Russia and the United States as a result of the disintegration of the existing arms control system. Whether this will turn out to be a hiatus before a new round of traditional Russian-American diplomacy or the formation of new architecture for the interaction of the great powers, it is not in the interests of either Moscow or Washington to allow circumstances to reach a stage of escalation in the nuclear field. At the present time, neither Russia nor the United States appears ready to drastically increase its nuclear forces beyond the limits set by the New START, and it’s unlikely that such plans will appear immediately after the legal limitations on doing so disappear. Both countries are already modernizing their arsenals—at great expense—and developing separate new programs. Reallocating resources for new programs would conflict with other budget priorities. The United States says it has no plans to deploy intermediate-range missiles to Europe, and Russia has said that it will only roll out its own missiles in response to actions by Washington. At the same time, this situation can hardly endure in the long term, or even the medium term. In the absence of legally binding limitations and arms control negotiations, and with imperfect information, there is a high risk of sides eventually embarking on the arms race either because they overestimate their counterpart’s capabilities (see example of so called “Missile Gap”) or because of purely internal reasons. It’s in the interests of both countries to officially enshrine the existing position, thereby increasing predictability and broadening the planning horizon. Another priority should be to preserve as far as possible the confidence-building and verification measures devised during the previous decades. The people most interested in such stabilization should be those responsible for foreign policy and the military in the two countries, since they have a better idea than anyone what the alternative scenarios would entail. Since the above factors make the signing and ratification of new arms control agreements unlikely, it’s important to assess other mechanisms that could take their place. These include coordinated unilateral action, political deals, and the creative use of agreements preserved since the Cold War. In 1984, Kenneth Adelman, the director of the U.S. Arms Control and Disarmament Agency, published an article titled “Arms Control With and Without Agreements.”10 In his article, the American diplomat described the obstacles to concluding new agreements, and put forward the idea of “arms control through individual but (where possible) parallel policies,” in which each side would take measures “in consultation with each other—but not necessarily in a formalized, signed agreement.” A similar principle was later applied in the early 1990s in unilateral presidential initiatives to reduce Russia and the United States’ non-strategic nuclear weapons. Of course, unilateral or parallel measures have obvious limitations: countries are free to end self-imposed restrictions at will. Russia and the United States also have experience in politically binding agreements: deals between the countries’ leaderships that do not have to be passed by the national parliaments. Examples of political agreements on arms control and nonproliferation are limited, and are predominantly multilateral, such as the Vienna Document adhered to by Organization for Security and Cooperation in Europe states, and the Joint Comprehensive Plan of Action (Iran nuclear deal). True again, these measures have limitations. At the same time, political agreements make it possible to codify quite complex deals, including those comprising verification mechanisms. Despite these limitations, politically binding agreements based on the interests of the participating parties could demonstrate results comparable to those seen with the classical legally binding ones. In the event that the New START is not renewed, Russia and the United States could issue joint or parallel declarations that they do not plan to increase their strategic weapons above the limits set by the treaty, and that if such plans arise, they will inform the other side of this. Russia and the United States should also reaffirm their commitment to the Ballistic Missile Launch Notification Agreement and the Agreement on Reciprocal Advance Notification of Major Strategic Exercises,13 and continue to send notifications in accordance with these agreements. With the expiry of the New START, the last permanent mechanism for discussing issues of the two countries’ strategic arms will also disappear: the Bilateral Consultative Commission. This will result in an even more pressing need for a platform for discussing bilateral nuclear arms issues, including a complex system for maintaining strategic stability in the absence of international agreements that previously underpinned it. Moscow and Washington could create a regularly meeting body to discuss any issues of mutual concern; it could be modeled on the strategic stability talks started by the two sides in 2017, even though they have been fruitless to date. In the absence of legally binding agreements, the two sides’ military doctrines assume additional importance. A far-reaching stabilizing factor would be a deal between Russia and the United States on holding consultations to clarify new positions outlined in the doctrines following their publication. As far as the abandonment of the INF is concerned, the key challenge for Russia and the United States will be avoiding a repetition of the Euromissile Crisis over the deployment of nuclear missiles in Europe in the 1970s and 1980s. One possible solution could be an accord on not deploying intermediate-range land-based missiles in Europe. The option of limiting the INF’s area of coverage to west of the Ural Mountains that mark the limit of Russia in Europe was looked at during talks on elaborating the agreement, but was rejected by the United States under pressure from Japan. Today, that could be an acceptable outcome for all the parties: Washington and Moscow could use the missiles in other parts of the world without fearing drastic escalation, and Tokyo no longer sees Russia as a key threat to its security. Within the framework of this kind of political deal, the sides would also have to resolve their remaining mutual grievances. With the INF out of the picture, Russia and the United States could step away from their tradition of accusing each other of violating the treaty and discuss ways of resolving each side’s concerns. The United States could agree to regular inspections of its Mark 41 launching system, part of its missile defense system in Romania. Russia could consider deploying 9M729 (SSC-X-8) cruise missiles east of the Urals. Since this missile is just one of the Iskander family, this would not lead to a reduction in the country’s defense capacity, and the system’s mobility means it could easily be moved to the European part of Russia, should that be necessary. However, for the same reason it might be difficult for the United States to accept this as a quid pro quo. Firstly, faced with the impossibility of signing a new legally binding agreement, political deals are the best remaining option to ensure stability and predictability in the nuclear sphere. Secondly, while Russian goal is to conclude a legally binding treaty prohibiting weaponization of outer space, Moscow was willing to give and accept the political assurances of no first deployment of weapons in space, which demonstrates that Russia is in principle prepared to be flexible. The relative success of the Iran nuclear deal and the ease with which the United States is withdrawing from legally binding international agreements could not have failed to influence the views of the Russian leadership. As Russia’s deputy foreign minister Sergei Ryabkov noted in a recent interview, “it’s clear that political deals and even legally binding agreements can’t provide a full and ongoing guarantee in the current circumstances … However, in the event that even a framework is reached for understanding sensitive aspects of security and their ensuing codification, as a rule, it will become possible to count on a certain stabilizing predictability and mutual restraint in the foreseeable future.14 This approach makes sense in the environment when the twentieth century framework of arms control agreements is giving way to a more dynamic and far less regulated environment. 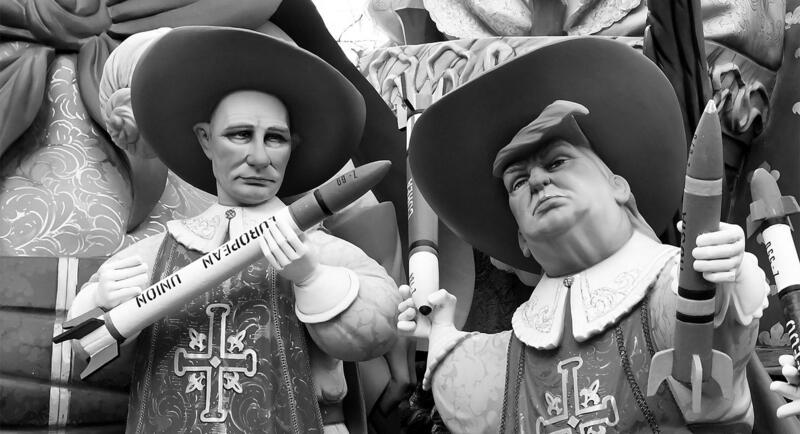 1 U.S. President Donald Trump, National Security Advisor John Bolton, and a significant proportion of the Republicans in Congress have a skeptical attitude toward international treaties and arms control. The president has called the New START a “bad deal,” and the retirement of Defense Secretary James Mattis deprived that treaty of its key defender in the Trump administration. 2 The United States accuses Russia of violating the INF and the Treaty on Open Skies, and has expressed concern over Moscow’s implementation of the Vienna Document and the Biological Weapons Convention. Russia accuses the United States of violating the INF, New START, the Non-Proliferation Treaty, the Plutonium Management and Disposition Agreement, and the Treaty on Open Skies. For a full list of mutual grievances, see: “2018 Report on Adherence to and Compliance With Arms Control, Nonproliferation, and Disarmament Agreements and Commitments,” State Department, April 17, 2018, https://www.state.gov/t/avc/rls/rpt/2018/280532.htm. See also: “Russia’s Assessment of the U.S. Department of State’s Report on Adherence to and Compliance With Arms Control, Nonproliferation, and Disarmament Agreements and Commitments,” Russian Foreign Ministry, April 24, 2018, http://www.mid.ru/foreign_policy/news/-/asset_publisher/cKNonkJE02Bw/content/id/3192916. 3 The SALT II Treaty was not ratified and did not enter into force, and in any case expired in December 1985, but the two sides announced their intention to comply with its terms and in general did so, though the United States accused the Soviet Union of violating it. 4 Henry A. Kissinger, “Should We Try to Defend Against Russia’s Missiles?” Washington Post, September 23, 1984; Kenneth L. Adelman, “Arms Control With and Without Agreements,” Foreign Affairs, vol. 63, no. 2 (1984): 240‒263, https://www.jstor.org/stable/20042181; Thomas C. Schelling, “What Went Wrong With Arms Control?” Foreign Affairs, vol. 64, no. 2 (1985): 219‒233, http://www.jstor.org/stable/20042570; Joseph S. Nye Jr., “Farewell to Arms Control?” Foreign Affairs, vol. 65, no. 1 (1986): 1‒20, http://www.jstor.org/stable/20042859. 5 In 1985, the U.S. State Department accused the Soviet Union of violating the Helsinki Final Act, the Geneva Protocol on Chemical Weapons, the Biological and Toxin Weapons Convention, SALT II, the ABM Treaty, the Limited Test Ban Treaty, and the Threshold Test Ban Treaty. See: “Soviet Noncompliance With Arms Control Agreements,” U.S. Department of State, February 1, 1985, http://insidethecoldwar.org/sites/default/files/documents/Soviet%20Noncompliance%20with%20Arms%20control%20Agreements%201985%20%282%29.pdf. 6 According to informal information from Russian sources, in an attempt to resolve the issue of suspected Russian violations, the United States requested an interview with the developers of the missile and access to blueprints and other technical information, both for the 9M729 and for other missiles. The suggestion was rejected as too intrusive. 7 Alexander R. Vershbow, “The Cruise Missile: The End of Arms Control?” Foreign Affairs, vol. 55, no. 1 (October 1976): 133‒146, http://www.jstor.org/stable/20039631. 8 James Cameron, The Double Game: The Demise of America’s First Missile Defense System and the Rise of Strategic Arms Limitation (Oxford University Press, 2017), chapter 5. 9 Andrey Kortunov, “U.S. Withdrawal From the INF Treaty and the End of the Bilateral Era,” Carnegie Moscow Center, October 25, 2018, https://carnegie.ru/commentary/77578. Sergei Karaganov, “On the New Nuclear World,” Russia in Global Affairs, April 4, 2017, https://globalaffairs.ru/number/O-novom-yadernom-mire-18644. 11 Agreement Between the United States of America and the Union of Soviet Socialist Republics on the Establishment of Nuclear Risk Reduction Centers, Protocol I, Article 3, https://www.state.gov/t/isn/215573.htm. 12 Vienna Document 2011 on Confidence- and Security-Building Measures, Organization for Security and Cooperation in Europe. https://www.osce.org/fsc/86597?download=true. 13 Agreement Between the United States of America and the Union of Soviet Socialist Republics on Notifications of Launches of Intercontinental Ballistic Missiles and Submarine-Launched Ballistic Missiles (1988). Union of Soviet Socialist Republics-United States: Agreement on Reciprocal Advance Notification of Major Strategic Exercises (1989). 14 “The U.S. Has Decided Everything for Itself,” interview with Sergei Ryabkov, Kommersant, December 19, 2018, https://www.kommersant.ru/doc/3834568.